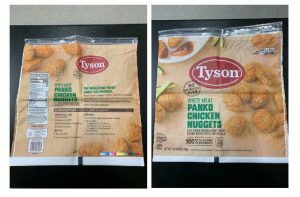 WASHINGTON — Tyson Foods is recalling approximately 36,420 pounds of chicken nugget products that may be contaminated with extraneous materials, specifically rubber, the U.S. Department of Agriculture’s Food Safety and Inspection Service (FSIS) announced today. The products subject to recall bear establishment number “P-13556” inside the USDA mark of inspection. These items were shipped to retail locations nationwide, according to FSIS. 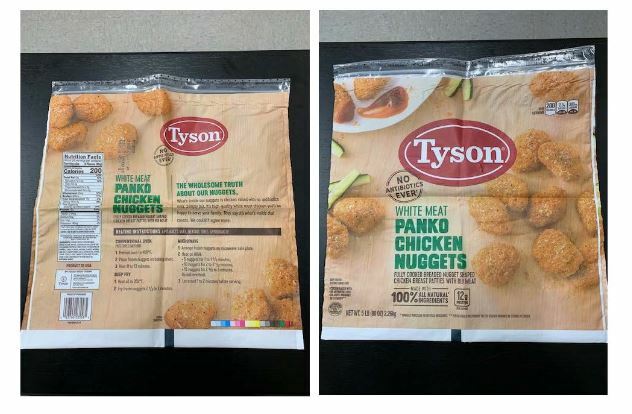 The problem was discovered when the establishment received consumer complaints of extraneous material in purchased Panko Chicken Nugget products. FSIS was notified on Jan. 29. FSIS said there have been no confirmed reports of adverse reactions due to consumption of these products. Anyone concerned about an injury or illness should contact a healthcare provider. Consumers who have purchased these products are urged not to consume them. These products should be thrown away or returned to the place of purchase, said FSIS.